Welcome to the final day of World War II Week. Today we are taking World War II into the realm of speculative fiction. I love when I can create "Reading of Theme" posts that are a little unexpected, and I think this one definitely fits that description. The World War II that is featured in this books is not the war we read about in our history books. 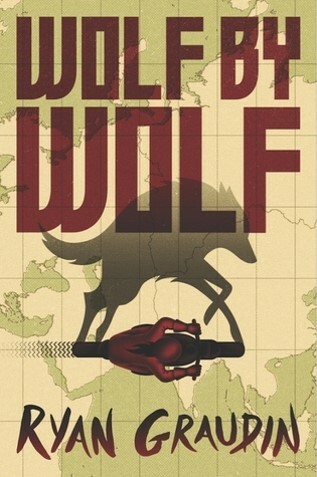 In Wolf By Wolf the world fell to the Axis Powers. Yael, a death camp escapee, competes in the annual long-distance motorcycle race that celebrates the Axis victory. Highly trained and with the ability to skinshift, she impersonates last years winner, Adele Wolfe. Her goal: win the race and kill Hitler during the victory dance. Ryan Graudin's Axis victory feels so plausible and, thus, so terrfying. The motorcycle race is packed with action, and the other characters in the race are enigmatic. What are we to make of Felix Wolfe and Luka Lowe? I sincerely hope they are back in the next book. Also, I want more of Adele Wolfe because she is fascinating even in her absence. Review copy from BEA. In Lindsay Francis Brambles's alternate world the Nazis not only won World War II, they also unleashed a deadly virus that turned those it did not kill into vampires. Now the world is divided into two distinct groups: the vampires ruled by the Nazis and a small group who are naturally immune to the deadly pathogen. Sophie Harkness is an immune living in Haven, the last bastion of the humanity. When Sophie's best friend is murdered, she begins an investigation that uncovers generations of secrets. Becoming Darkness has a really interesting premise. I like how the book is a bit of a genre-bender combining historical, urban fantasy, and mystery into one. Brambles did not take the easy way out with this book; the stakes are sufficiently high for a book about Nazis. Blackout begins in Oxford in the year 2060 where historians are preparing to time travel to World War II to do research. When Merope, Polly, and Michael arrive, not only do they have to deal with unexpected quarantines, demanding bosses, and all kinds of delays, but also time travel doesn't seem to be function properly. I really love this book and its sequel. 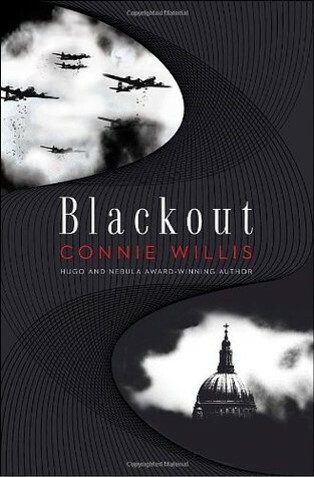 Connie Willis's novel offers a really interesting perspective on the war because the characters have all studied it intensely, and they have insights that the contemporaries do not, and yet they are still unprepared for the harrowing experiences that they face. In some instances knowing is much worse. In Michael Grant's World War II novel women are eligible to serve as soldiers and must register for the draft. The book follows three soldier girls, Rio Richlin, Frangie Marr, and Rainy Schulterman. What I enjoyed most about this novel is how real it felt. I truly believed that these girls were soldiers; that girls could have been soldiers, and the way that Grant navigated the attitudes, prejudices, and inexperience of the soldiers felt so very truthful. I also like that Grant is taking us through these girls' entire war. We have to slog through boot camp, the Atlantic crossing, and their first engagements. We see how those experiences change them. I'm definitely reading the sequels. 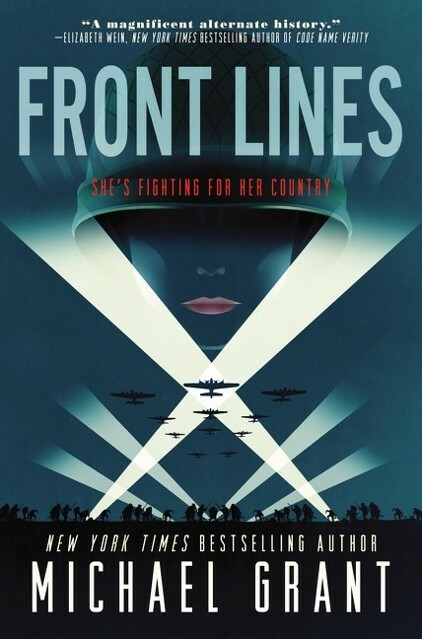 Front Lines is out January 26th, 2016. Review copy from Edelweiss. 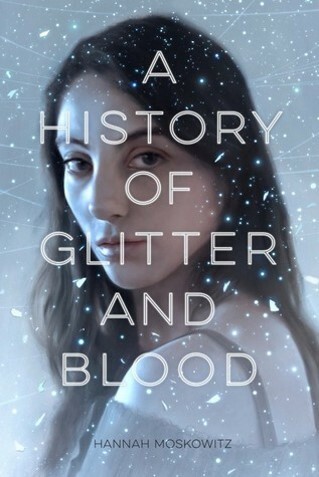 Admittedly A History of Glitter and Blood is a bit of a stretch for this Reading on a Theme. I'm including it because Hannah Moskowitz said she was thinking about World War II and the Holocaust as she wrote. This war story is set in a very alternate world; one populated by fairies, gnomes, and other mythical species. Despite that, the book has a very gritty, realistic feel. Their war pits race against race, which is, of course, related to World War II, but also to so many of the wars that continue to rage now. The book is experimental both in its subject matter and style. It's a complicated book, and while I ultimately took issue with parts of it, I can see why it has received so much praise. Review copy from BEA. Thanks for joining us for World War II Week. If you are looking for more World War II reads check out this post. It includes some very beloved books. To view the series as a whole click here.